CM Taib’s closing speech of the DUN was supposedly summing up of the week long Proceedings of the DUN Sarawak which was from May 21st to May 29th 2013. It was a sitting where most legislators would have been very happy as they have received their pay increments nearly 3 folds. Morning session was solemn as it many were still looking for answers in the lossof lives in the Belaga Express Trajedy. Contributions were all pledged and will be delivered from both sides of the political divide. Surely,it was the tone and the way he delivered it which captivated the journalists who were present with me. True enough, the last time he went on a tirade was in 2011 and this time the venom was even more. In so many words, he lashed out at YB Kota Sentosa Chong Chieng Jen that “he was not befitting of a respectable assemblyman” Chong has been attacking CM Taib non stop and this time CM went on a full assault. Chong was not even given a chance to defend himself. We will see whats coming out from Chong soon wouldn’t we? CM Taib eventhough angered by all the accusations,lies,defamation of character still was maganimous and GAVE 3 MONTHS TO CHONG TO MAKE AMENDS AND APOLOGISE before a full legal suit will commence and filed by Taib and the Sarawak Government. Has he failed to deliver he asked? It does seem that CM Taib is not about to call it a day anytime soon. He has led Sarawak for 30 years and he has delivered time and again in all the elections that he has helmed. Chong and the detractors will continue to see him and engage with him until he so decides to call it a day. CM Taib finished his speech by wishing a SELAMAT HARI GAWAI To all his dayak friends ,colleagues and all Sarawakians who celebrate the Harvest Festival on June 1st 2013. Of course being a component party divisional chief I try to protect the BN interests but if it goes on the way it has happened in the lasts State Elections and Parliamentary Elections it leaves very much to be desired. SUPP and Tan Kai”knows where the problem lies” and they must come CLEAN on this. The DAP member said,”Clean your own backyard before you try to hit others as the rakyat will only listen to those who fight for their rights.” URBAN THINKING VERY TRUE. 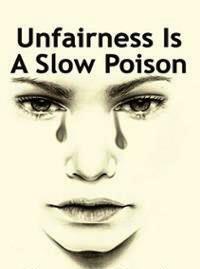 I play a no nonsense part as a component leader and there are many within the rank and file who “despises”me but its the truth. THE TRUTH HURTS BUT IF YOU ARE WINNING ITS ALRIGHT BUT FOR SUPP URBAN AREAS YOU ARE NOT EXACTLY CONTROLLING THE SEATS ARE YOU? STATE ELECTIONS WILL BE UPON US SOON AND FOR NOW THE DAP YBs GLADLY TAKE THE PAY CHEQUES AND WILL SHOW SUPP HOW IT’S DONE. WHO IS SHOUTING AT THE BACK..?? 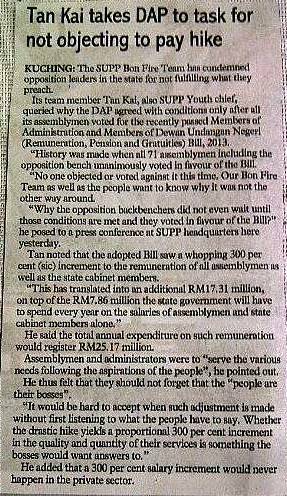 Would anyone from the Opposition bench go against such a bill? Doubt it,as all of them are beneficiaries too. However Chong did albeit very meekly only. 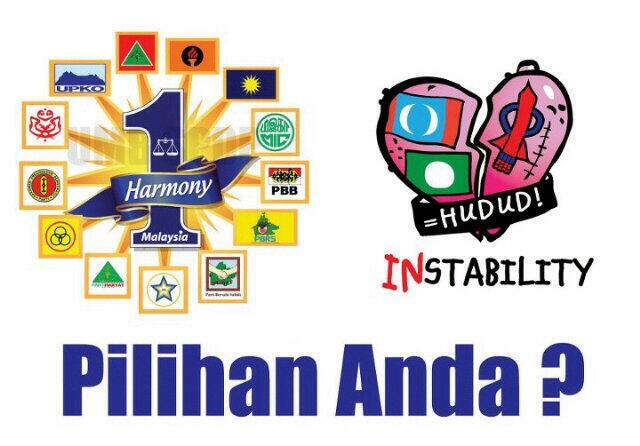 The question which the ordinary rakyat are asking is very simple? Why Now? Of course we have our own interpretations which has political intonations attached to them. Ha! You are reading it clearly now.You are absolutely correct and I didn’t say it. (simply,if it goes into my pocket should I make noise..?? (Lets put the font smaller so that one can magnify it later)…There is another which would have included a No Confidence Vote to you know who which was supposedly to be brought up at this DUN sitting. Circumstances/Timing have changed. The monthly remuneration of the Sarawak chief minister, deputy chief minister, ministers, assistant ministers and state assemblypersons will rise by about three-fold under a bill approved today by the state legislative assembly. The Members of the Administration and Members of Dewan Undangan Negeri (Remuneration, Pensions and Gratuities) Bill 2013 also provides for an increase in the remuneration for the state assembly speaker, deputy speaker and political secretaries. The remuneration of the chief minister will rise from RM13,000 to RM39,000; deputy chief minister, RM11,500 to RM35,000; senior minister and state assembly speaker, RM9,000 to RM30,000; ministers, RM9,000 to RM27,000; assistant ministers and assembly deputy speaker, RM7,000 to RM21,000; state assemblypersons, RM4,500 to RM15,000 and political secretaries, RM3,000 to RM9,000. The bill provides for the increase in remuneration to take effect from Jan 1 last year. The last adjustment in the remuneration was in 1992. Second Finance Minister Wong Soon Koh said a review of the remuneration was done in view of the increasing expectations of the people. “Sarawak is as big as Semenanjung (the peninsula) and a lot of members of the Dewan Undangan Negeri (state assemblypersons) have to cover a large territory, particularly those who serve the rural areas,” he said. Wong said the new bill would take effect by next week and the exercise was expected to incur RM17 million in state funds, inclusive of the backdated pay from last year. Why so quiet? Should we get in the thick of action? Well, we did through many tweets which we feel will obviously be first hand information to the receiver. In our case its simple, GE13 many have spent hours on the internet for information which will benefit their campaigns. PRS and SPDP are both feeling aggrieved and understandbly the groundswell from party supporters are that their parties are both UNFAIRLY TREATED and in a way SIDELINED. MIC with 4 MPs awarded 4 posts,100 % SUPP 1 MP win 1 post,100 % SPDP 4MPs sadden with 0 post 0 % and PRS with 6 with only 2 posts 33 % .PBB 14 with overloaded 7 post,50 %. 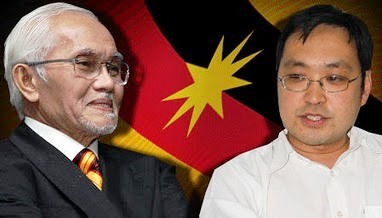 Taib is an important figure in the eye of Najib.2 years’ plan initiated by PM for Taib to step down as promised during 2011 state election had been junked as Mahatir said Msians senang lupa.PRS supporters say it,s a great insult to them,dont be surprise that we will leave your bungalows,BN to Langkau ( Pakatan ) one day.Well say,Dayaks. 2. Masingsaid we rural based parties contributed so much yet we are mistreated. Therefore PRS reject Minister and deputy minister because not important ministry. He even warned not to take PRS and Spdp lightly. Mawan said “Oh be calm, PM is wise perhaps he overlooked”. If only Masing and Mawan are not overly self serving, together they formed a pact, even Taib wont dare play play with them. We know exactly what they want, just throwing tantrum no balls actually. 3. Philip Golingai‏@PhilipGolingai8h@audie61 if both parties don’t get significant portfolio, what will happen? 4.Pasca Tiga Belas‏@kpgdsabah6h@audie61 prs and spdp are just helpless. U guys r powerless. Spt melukut di tepi gantang and not important as PBB. Bersyukurlah & accept it. 5.Bit Surang™‏@BitMS6h@audie61 @NajibRazak @1_Agenda @1m4youth @keithsys @whizzekid Totally Unfair. Dayak parties being sidelined. What’s Najib agenda? 8. MIC 9 won 4 Cabinet 2+2 SUPP 7 won 1 1 Full (SPDP Won 4 out of 4 PRS Won 6 out of 6) Fairness? Winnable PRS n SPDP n delivered. WE ARE KEEPING A CLOSE WATCH ON THE POLITICAL DEVELOPMENTS. PROPAGANDA FOR ANWAR DOES WORK..? IT DOES WORK UP PEOPLES ADRENALINE AND MAKES THEIR HEART PUMPS UP FASTER. WHO IS CALLING WHO A FRAUD? ANWAR HAS CALLED THE EC CHEATS and the lasts (elections) is the mother of all frauds. He told the crowd at Penang on 11/5/13.